The 55th anniversary is a truly special occasion, so use this list of themes linked with this anniversary year to come up with a gift that will impress your loved ones. Emeralds have two meanings, the first being a symbol of true love. An emerald is said to change shade if the wearer is unfaithful, so giving the gift of emeralds on the 55th anniversary is a sign of devotion and adoration. 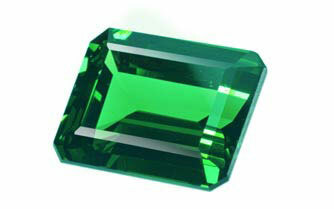 As green is also linked with creativity and spring, emeralds are also thought to offer the wearer new chances. The beauty of the calla lily is associated with the qualities of faith and purity in the Christian religion. The Romans also assigned a meaning of sensuality with the long stalk, and so the calla lily represents both spiritual and physical sides of a successful marriage. **The green rose is a romantic alternative for this anniversary, in keeping with the colour theme, and the symbol of eternal love that a rose represents.